Retail version includes double-sided poster, reversible cover art. 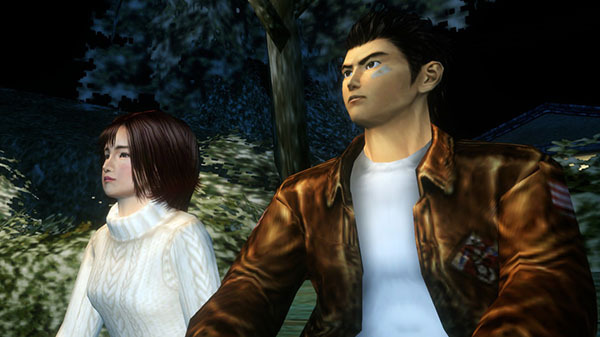 Shenmue I & II will launch for PlayStation 4, Xbox One, and PC on August 21, publisher Sega announced. The physical edition, which has been available to pre-order since April, will include a double-sided poster featuring characters from the Shenmue saga, as well as reversible cover art featuring original artwork. The digital edition is available to pre-order today via the PlayStation Store, Microsoft Store, and Steam with a 10 percent discount off its standard $29.99 price point. Gameplay where the player can control the camera is 16:9. Cutscenes are letterboxed in their original formats. Who do we have to thank for this incredible work? The amazing team at d3t.